Affordable Quality Marble & Granite has the design knowledge, production capacity and talent to execute the most demanding projects. 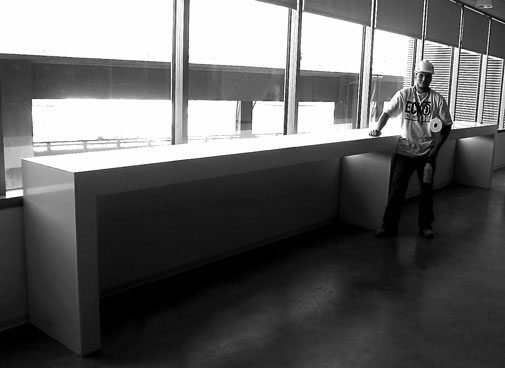 Our talented team is complete with the needed skilled designers, fabricators, and installers who will work on every commercial project. We understand commercial and hospitality! Our team understands your need to get the job done correctly, on a budget, and most importantly on schedule. 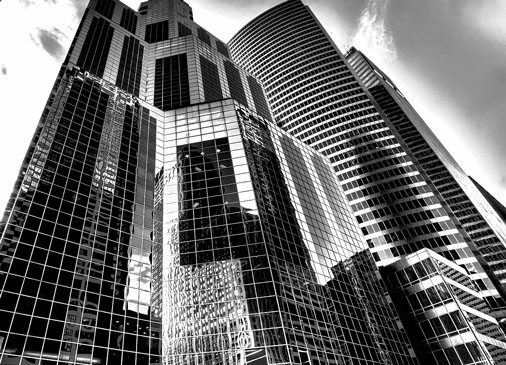 With the expertise that our team has, we assure you that we can complete every commercial project required. From contemporary drop apron projects, mass production of countertops, to 3D stonework, our team can execute the project to your exacting specifications. We know and understand that every client has time and budget limitations. You don’t need to worry about extra costs that may be incurred towards the duration of the project. We will make sure to finish the project under your given budget and timeline. 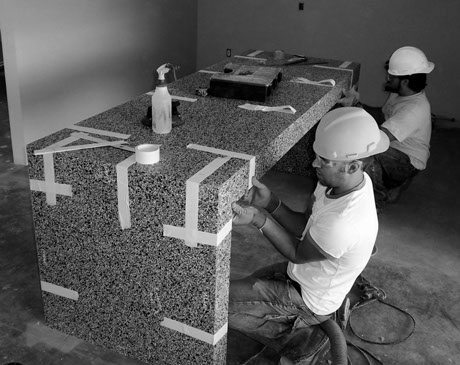 We process major brands of Engineered Stone, Recycled Stone, and Glass Countertops. You can choose your desired stones from our slab yard which will be used for the commercial project. All of our employees are drug-free and have passed background checks. We have the proper safety training and gear to install stonework on your commercial projects. With over 20 years of experience in servicing South Carolina, our team is confident and ready to execute commercial projects. Contact us anytime! We are readily available to accommodate any question you may have about our products and services. Our company will be glad to provide our customers with excellent customer service. Let our skilled staff work with you in every step of your project: from the very beginning, down to the final installation. When professionalism, quality and timeliness matter, you can depend on Affordable Quality Marble & Granite.